China has stolen US information without using secretly embedded hardware, so why would it jeopardise its massive semiconductor industry? I’m very dubious of the recent Bloomberg report stating that several American companies were compromised by spy chips inserted secretly by the Chinese on U.S.-used computer motherboards. The Bloomberg article should be used as a starting point for a very real, serious, and long overdue discussion of supply chain risks, but I’d rather start with the facts supported by evidence instead of anonymous claims that have been unsupported for over three decades. We know for sure that the Chinese government has broken into thousands of U.S. companies, both over the internet and using human spies, and stolen nearly every secret that was worth stealing. If China wanted to learn about something, they did. It is a national tragedy from which we will never be made whole again. I’ve been hearing some form of the “Chinese are spying on us using computer chips” for decades. Early on, the story was that the White House had found secret Chinese spying chips in its computers and had confidentially been telling government contractors not to buy Chinese-made computers. In some cases, Chinese-made computers were not allowed into government contractor businesses. I consulted at several U.S. government contractors that would not allow me to bring my Lenovo laptop into their facilities. I had to leave it in my car. In a few cases, the threat was deemed so risky that I could not even have it in my rental car on the company’s property. I had to leave it at home or in my hotel. Each person telling me that I couldn’t use my Chinese-made laptop claimed to have a friend who had seen the top-secret White House document with the “evidence” to back up the claim. After decades of trying to see a copy of that document, I never talked to a person whom I trusted had seen a real document. It was always a “friend-of-a-friend” story. I first wrote about, and discounted, this dubious accusation against the Chinese almost ten years ago in an article entitled China is not selling bugged hardware. That article was written only after a decade of hearing private accusations against the Chinese. At the time, I was frustrated with the seriousness of the claims without any real evidence to back them up. I’ve seen nothing to change my mind in the intervening ten years. Maybe it happened, but if so, where’s the real evidence? What possible reason could the White House or any government entity have for hiding that they have found a spy chip on computers sold in the U.S.? Are we supposed to believe that American computers are full of Chinese spy chips, but for reasons we can’t explain, it’s better not to let the rest of American businesses know? It strains credulity. If you are worried about supply chain threats, and you should be, it’s not just one little purported spy chip you should be worried about. You can’t find a computerised device in the U.S. that doesn’t have foreign-made chips. There isn’t some secret U.S. government agency that goes around inspecting all those chips for security holes or backdoors before they get put into all our computers. To me it is a hilarious idea that the Chinese would have to insert a specialised, tiny spy chip when it would be far easier to put an intentional weakness or backdoor into any of the hundreds of chips that are used in every computer on the planet. It would be far easier to hide in the weeds than to create a dedicated spy chip that any hardware expert would notice and question. I do know of a powerful nation that has implanted spy chips and software backdoors into domestically produced computer equipment that was then shipped to other countries. Yep, the good ole USA. I love America. I’m a patriot in every sense of the word, but it would be hypocritical to discuss this topic without mentioning the fact that the only country that I know of that has implanted spying hardware or software into computers destined for foreign lands is ours — not once, but many times, and that’s just what we know of. America’s intelligence agencies and law enforcement routinely compromise encryption hardware headed to foreign counties to enable spying on groups who think they are using the world’s best cryptography to protect their digital communications. This type of cyber warfare was used by the U.S. and its allies against Middle East terrorists and South American drug cartels. The U.S. intercepts encryption cards and cell phones headed toward groups it is monitoring, to either record the included secret keys to decrypt their encrypted communications or disable the protection altogether. It’s also hard to turn a blind eye to the time that the US and UK broke into Gemalto, the world’s largest producer of cell phone SIM cards and stole the basic encryption codes used by cell phones around the world. It probably includes your cell phone’s SIM card. When it was announced that the NSA implanted backdoors into Cisco network equipment, Cisco said it was unaware of the unauthorised modifications and condemned the NSA. It had to. Like most network and computer companies, Cisco is a global supplier. It relies on foreign companies for much of its revenues. It would be incredibly foolish to spy using hardware chips, because it would be more easily discoverable and be real evidence. It would be even crazier to do it when the Chinese have broken into every company they need to break into using traditional methods that won’t compromise its dominant chip industries. 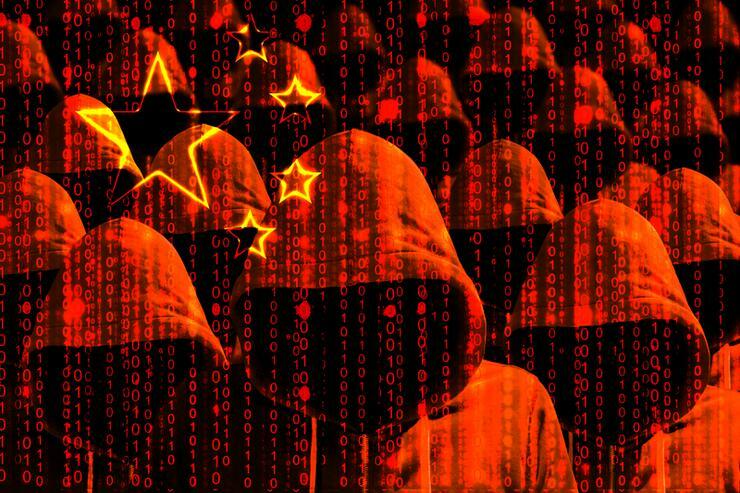 Chinese hackers are already as successful as they need to be without risking the financial stability of their country.